If you’re just just dropped some serious money on a new Mac, whether be a super-portable Mac Mini, insanely powerful Mac Pro or a sweet iMac Retina with a 5K display, congratulations! You’ve made a potentially expensive but definitely worthwhile investment in your computer, and you can expect (at least) years of great performance. In addition to your brand new Mac, there are a few extra accessories that can really boost your productivity and help you get the most out of your new Apple machine. Here’s out list of the top accessories for your Mac. As the name implies, Twelve South’s BackPack for iMac ($34.99) is a great accessory for the iMac, but it can also be a great accessory for the Mac Mini and Pro (or even your MacBook); if you’re using a Mac Mini or Pro with an Apple Thunderbolt Display, your machine can sit right on the BackPack, giving your more desk space. 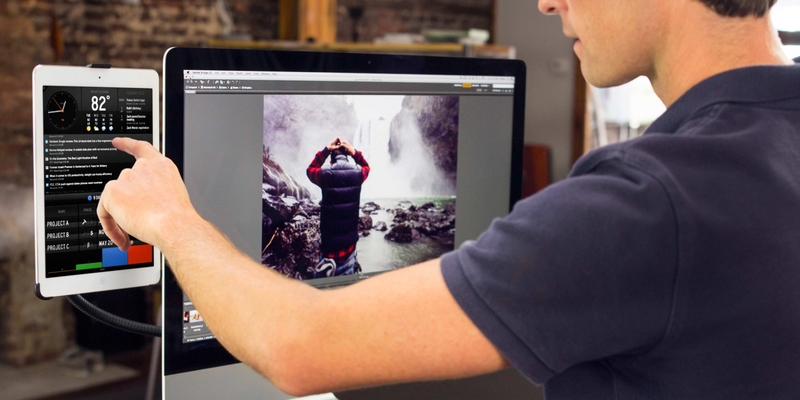 The BackPack is basically a shelf, and the shelf is designed to fit on the back or front of your iMac. If you choose to fit the BackPack on the back of your iMac or Thunderbolt Display, your Mac Mini, Mac Pro, MacBook or portable hard drive will sit on it perfectly, but if you’re planning on fitting the shelf to the front of your iMac, just below the Apple logo, the BackPack can be a great place to keep your iPhone, keys, wallet or even your Bluetooth keyboard. Twelve South’s BackPack for iMac is designed to match the design aesthetic of Apple’s iMac, and it looks completely natural on your machine. Twelve South has designed an elegant product that is virtually essential for an iMac-centric workstation. If you’re not a fan of the idea of adding a shelf to your new iMac to hold your keyboard, you might want to consider adding a stand. Macessity’s Lowkey Stand with USB3.0 ($84.99) is specifically designed for Apple’s thin Bluetooth keyboard. This stand gives your keyboard a home, so it doesn’t have to be in your way all the time. With your keyboard put away under the iMac stand, you can use your workstation to its fullest potential. Additionally, the stand places your iMac a little higher on your desk, making it easier to adjust viewing angles. Like the BackPack, Macessity has designed this product to match your iMac’s design, so it won’t look out of place when your iMac is sitting on top of it. 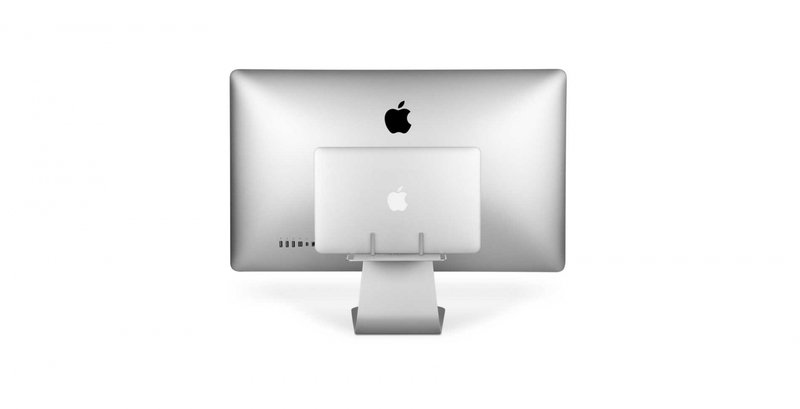 The stand can hold up to 35 po unds, more than enough support for a standard iMac. The Lowkey Stand features an absolutely awesome additional feature: four USB3.0 ports. You don’t have to worry about reaching around your iMac to plug in your external hard drive anymore—just plug it straight into Macessity’s stand. The additional USB ports definitely aren’t a game changer, but if you’re someone who uses multiple USB ports at once, the option may be enough to entice you. For number 3, we’re back at Twelve South. Twelve South’s HoverBar 3 for iPad ($99.99) is one of the coolest gadgets out there and a must-have for anyone who his/her their iPad in conjunction with his/her iMac. Put simply, the HoverBar 3 is an arm that attaches to your computer (or any ledge) and holds your iPad. The arm is flexible and can be really useful for using your iPad hands-free. While the HoverBar 3 is often used with an iMac, the product can be used in any number of situations. When you’re doing using your iPad for work, you can take the iPad and HoverBar 3 to the kitchen for a snack, just clip the HoverBar 3 to your kitchen counter and a world of recipes are at your fingertips. 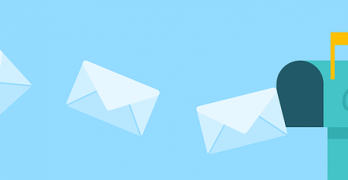 What could be more convenient? 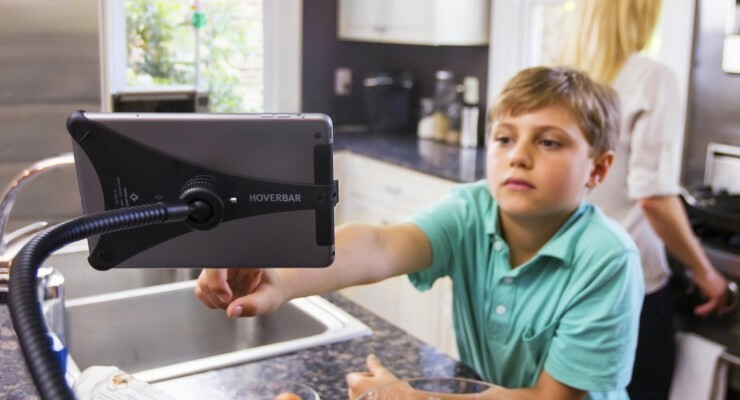 The HoverBar 3 is compatible with the iPad 2, 3, 4, Air, Air 2, Mini, Mini 2 and Mini 3. While Foamy Lizard’s iMac Dust Cover ($59.99) may seem like overkill to some people, if you’ve ever taken a seat behind your iMac with a blank display, you’ve probably noticed an inordinate amount of dust. 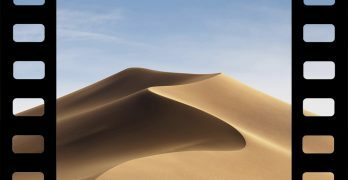 When the display is on, you can’t see it, but dust is silently creating a furry film on your iMac’s screen. If you’re not in the mood to dust often, take a serious look at Foamy Lizard’s iMac Dust Cover. The dust cover fits over your iMac’s screen like a glove and keeps it safe from the dust particles that are flying around in the air. It also protects your iMac’s screen from fingerprints, liquids and dirt. There’s also a rear pocket on the dust cover that is just big enough for you Bluetooth keyboard or Magic Mouse. 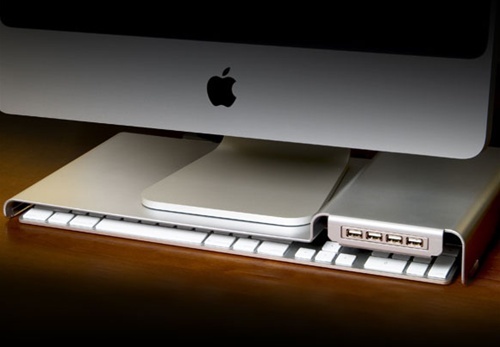 What’s your favorite iMac accessory? Let us know in the comments below.